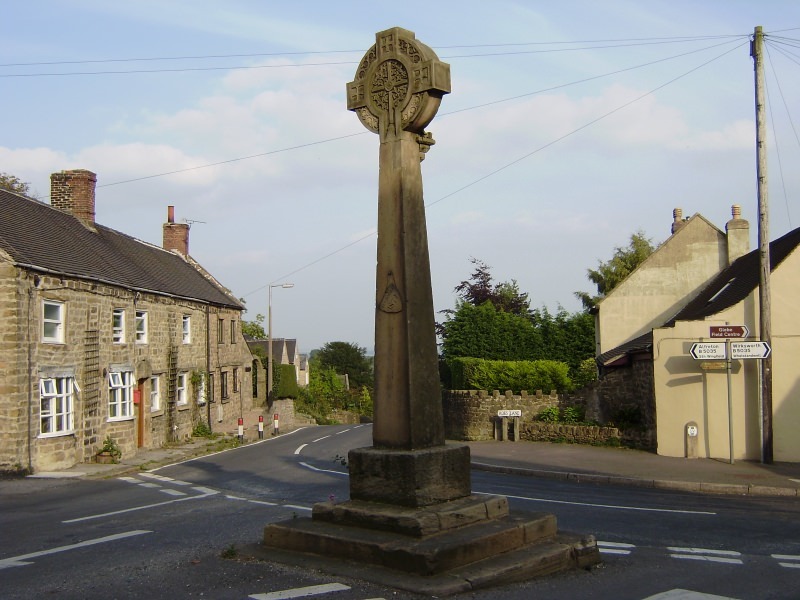 In the middle of a busy road junkction there is this celtic cross in Crich on the place where the market used to be in former times. Typical for Crich are the stone houses which would fit very well into the Peak District. Its main tourist attraction is a tramway museum.